Hi guys, a bit bored this Sunday. Made this sampled drums. 100% pringles can :). If you want to try it/ improve it here is the full project including samples and image. Sound improving tip: Record double samples (including round robins) for right-left channels, then merge samples with panning 100% or around 60% for each left and right channels and for each note. So you will have a stereo instrument. Also if you make a bulk processing to samples (like in Adobe Audition..etc), with some eq, pre-amp, even multi band comp or saturation plugins; you will have a ready to mix great sounding instrument, it will sound great even if it is a pringles can yeah it may force yourself on recording and post production stages, but it will be cpu effective because the sounds are allready been enhanced, and users won't have to use extra fx plugins. There's tons of people who prefer the raw pringles, so this advice has to be taken with caution. This depends on your target audience. But nice project, I'll test it soon. Samples are stereo already. But no eq or fx. @Christoph-Hart There aren't tons of people who prefer raw samples compared with processed ones. I prefer unprocessed samples but I don't mind presets with processed versions as long as I can play with the settings. @Christoph-Hart Yeah it depends on target audience. But most of people prefers processed samples, because it sounds good. I experienced it a lot. Recently with an Electic Piano plugin (Sweetcase - I give it free). I recorded it through an analog fx chain and processed hardly while recording. Tone became warm and sweet. The result, over 100.000 downloads. But before that I gave a free EP too but not unprocessed, it couldn't get the 1/100 download number of Sweetcase. @hisefilo Thank you man for such nice words. Oh I listened it from laptop speakers, if it is stereo, it's cool. 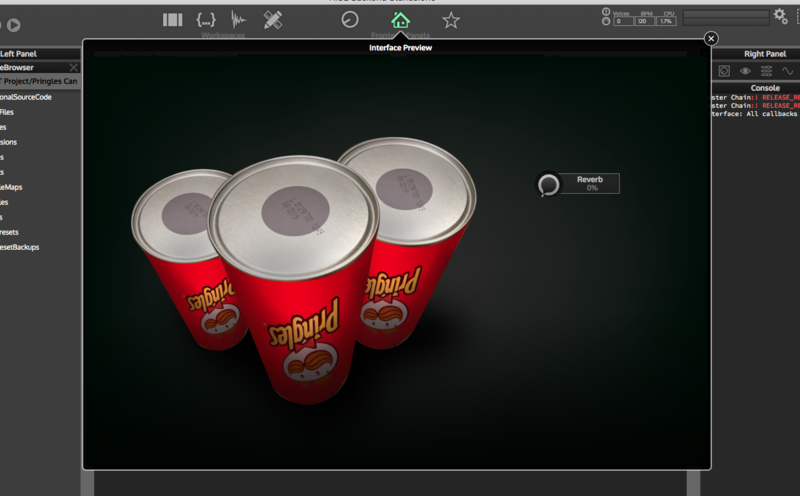 Can you put "Pringles" tilte in your GUI without copyright infringement ? More fun when just modifying the name. I'll check this out & see if I can contribute. Thanks for sharing.